BETTER PRODUCTION MMS JUNE 2018 142 mmsonline.com ERP SOFT WARE operations. In Ms. Carpenter's case, the cost of backing up data compounded this. "I once drove to the shop at 2 a.m. thinking that I had forgotten to back up the previous day's data," Ms. Carpenter says. 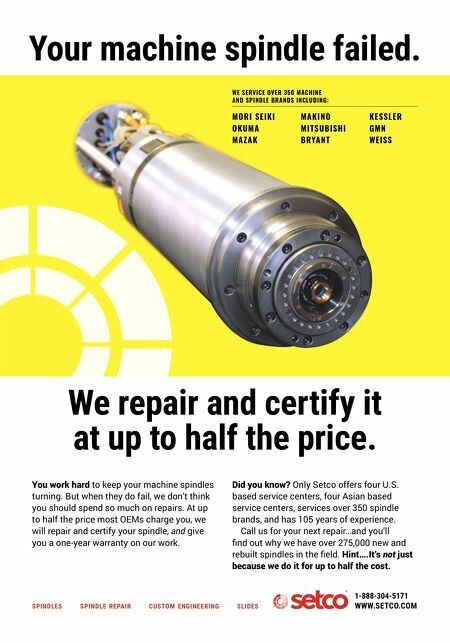 "I worried a fire or electri- cal surge would cost me thousands of dollars in Tool Holders | Boring Tools | Cutting Tools | Workholding | Tool Measuring | bigkaiser.com EXPERIENCE THE ECONOMY OF QUALITY Invest in world-class BIG KAISER Boring Tools to eliminate scrap, reduce cycle time and bore perfect holes every time. 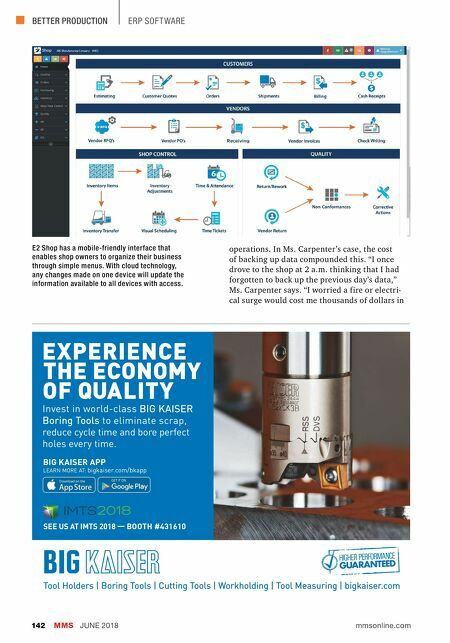 BIG KAISER APP LEARN MORE AT: bigkaiser.com/bkapp Download on the GET IT ON SEE US AT IMTS 2018 — BOOTH #431610 E2 Shop has a mobile-friendly interface that enables shop owners to organize their business through simple menus. With cloud technology, any changes made on one device will update the information available to all devices with access.